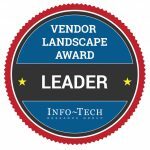 LONG BEACH, CA (December 18, 2012)—Laserfiche today announced that it has been listed as a Champion in Info-Tech Research Group’s Enterprise Content Management (ECM) for Process Workers Vendor Landscape. With a fifteen-year history of delivering quality research, Info-Tech Research Group is North America’s fastest growing full-service IT analyst firm. Of the four vendors listed as Champions in the report, Laserfiche received the highest Value Score. This means that, of all the Champions, Laserfiche offers the most “bang for the buck” in terms of features, usability and stability. 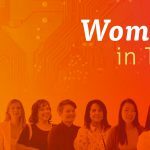 With a paid membership of over 29,000 members worldwide, Info-Tech Research Group (www.infotech.com) is the global leader in providing tactical, practical Information Technology research and analysis. Info-Tech Research Group has a fourteen-year history of delivering quality research and is North America’s fastest growing full-service IT analyst firm. Since 1987, Laserfiche has used its Run Smarter® philosophy to create simple and elegant enterprise content management (ECM) solutions. More than 32,000 organizations worldwide—including federal, state and local government agencies and Fortune 1000 companies—use Laserfiche® software to streamline document, records and business process management. The Laserfiche ECM system is designed to give IT managers central control over their information infrastructure while still offering business units the flexibility to react quickly to changing conditions. The Laserfiche product line supports Microsoft® SQL and Oracle® platforms.